Outstanding businesses and industries across Middle Georgia were honored during a luncheon Thursday. About 200 people attended the event at the Armory Ballroom in downtown Macon. It was sponsored by the Greater Macon of Chamber of Commerce and the Macon Economic Development Commission. Porsche’s assembly line looks quite different than it did in 1990, he said, when improvements began in production. After his presentation, Middle Georgia companies that qualified as finalists for Business of the Year, Industry of the Year and Small Business of the Year were introduced. Each company was considered based on its employment history and stability, “but most importantly, its total impact in educational, civic and charitable giving,” said David Thompson, vice chairman of business and existing industry for the Greater Macon Chamber of Commerce. The chamber received 20 nominations. 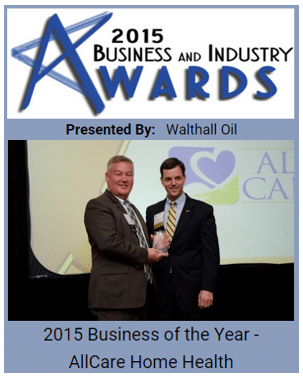 The winner of the 2015 Business of the Year Award was Macon-based All Care Home Health. It is a private home health care provider that serves adults with developmental disabilities and seniors in their own home. In five years, it has grown from a home-based business with one employee to more than 100 employees. The Industry of the Year Award was presented to Trane, which has had a strong manufacturing presence in Macon since 1987. A subsidiary of Ingersoll Rand, Trane is a leader in commercial heating, ventilation and air conditioning. Locally, Trane and its 158 employees manufacture fan coil and blower coil products. 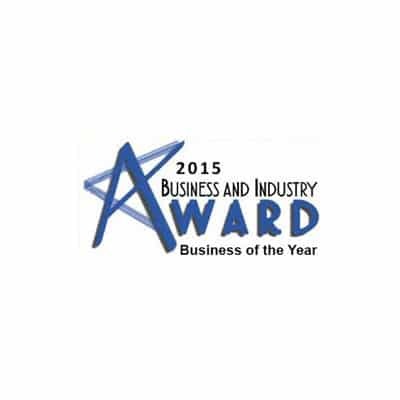 Ken’s Audio, Video Car Stereo took home the Small Business of the Year Award. It is the largest independent, consumer electronics store in Georgia, with locations in Macon and Warner Robins. It has been family owned since founder Ken Jones opened it 37 years ago. Other finalists were Ciceros Moving and Storage, LBA Ware and Sierra Development.